As we wind down 2012, I want to share a quick snippet from the single best article I read this year on what it means to be a Sales Manager. My reps time is really valuable to them, and it has to be even more valuable to me. Invites to internal meetings, issues of customer service that they’re not equipped to handle, and requests from colleagues that take them away from their sales efforts – all of these things are distractions, and it’s really my job to keep my reps free from them. You’re in sales, you understand the necessity of hitting your goals, you know that any time off of the phone building relationships and prospecting affects you financially. If I’m not able to help keep my reps from these types of diversions, they’re going to feel it, and ultimately, so will the business. You see, I don’t really think of myself as a sales manager, but rather a guardian. I need to guard my team’s time so that they can focus on their goals. So how do you best guard their time? One idea is to give them a place to share exactly the issues that are taking them off the phone and away from prospects. 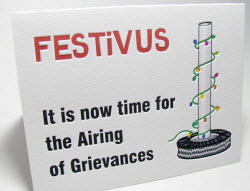 Salesforce.com COO George Hu shared how they did exactly that: they created a chatter group for ‘Airing of Grievances’. Don’t think: the worst of anonymous internet commenting. Do think: professional, linked to your name & photo, and visible right up to Executive Management. Listen, you trust your reps to conduct themselves externally on LinkedIn groups. I’m pretty sure they won’t betray that trust internally in a Chatter group. What do you think? What else can Sales Managers do to act as time guardians?